Over Labor Day weekend, Beyoncé gave highly anticipated performance at the Made in America Festival in Philadelphia, where she (naturally) put on an out-of-this-world show. I mean, just look at how much Jay Z loved it. Since then, Bey has been posting photos of the stage and behind the scenes from the concert on her Instagram page, which include some adorable pics of her daughter. And it's clearer than ever that Blue Ivy is becoming as fabulous as momma Beyoncé. When Blue Ivy was a baby, Beyoncé and poppa Jay Z were very selective when sharing photos of her, often avoiding any shots of her face. Since then, it seems like they've become much more comfortable with sharing personal family pics with their fans. I am sure that it's impossible to contain a toddler with as much personality as Blue. After looking at the new pics of Blue Ivy — one of which shows her with a microphone in her hand — I can't help but think that she is destined for greatness. Here are some photos that prove that Blue Ivy will definitely be just as fabulous as her amazing mom. Complete with Dora the Explorer stickers, of course. She's already matching her mom in the eyecatching swimwear department. Already killing it in a Vogue editorial spread. Yep, they take fashion risks together, too. This is not your average three-year-old's birthday cake. It only makes sense that the Queen's daughter would dress up as the King. 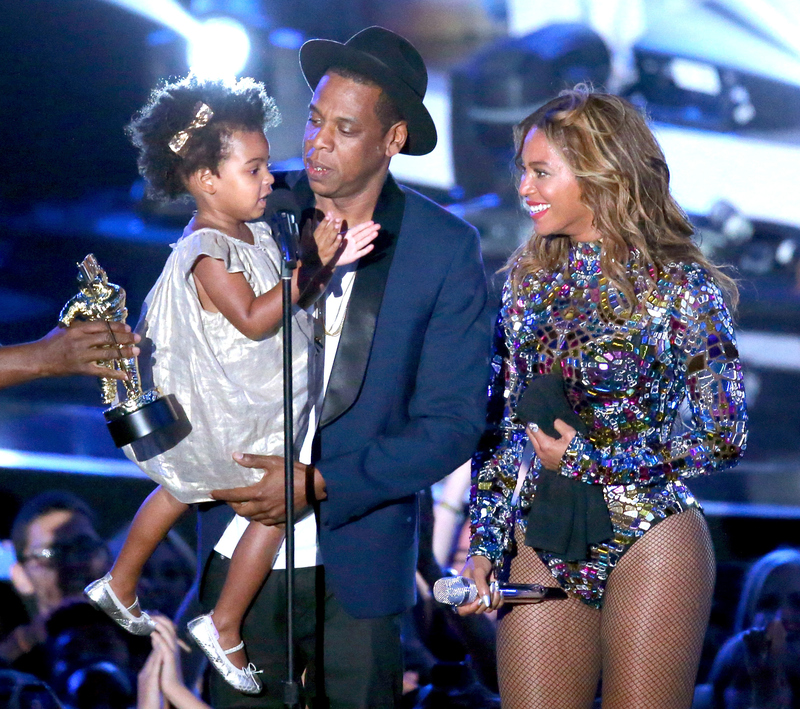 The only thing that could distract people from Beyoncé's 2014 MTV Vanguard performance was Blue Ivy's dance moves. Beautiful wide-brimmed hats on an exotic beach? Check and check. Her mom may be the biggest pop star on Earth, but Blue Ivy is making a path of her own. I can't wait to see what the future holds for Blue Ivy. If these photos say anything, her parents will be supportive and nurturing of the gifts she already has. So watch out for the year 2030!